The last week was spent in preparation for my second firing of the Noborigama kiln at the North Carolina Pottery Center. I considered myself fortunate to be firing with some of my ceramic idols this time around and the firing seemed to go off without a hitch! I look forward to opening the kiln in a few days. In the meantime, enjoy images of the firing process and stay tuned for the results! It all starts with the wood. 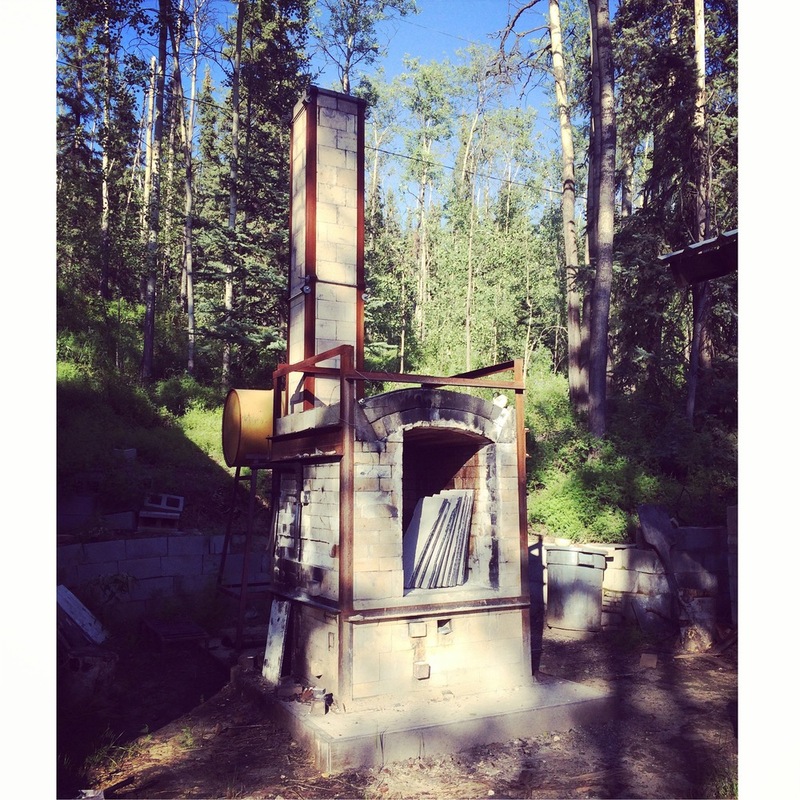 This kiln takes about a cord to fire. We need thin "sticks" to fire the kiln since the stoke holes are only the size of two bricks. We got an order of pine for this firing. Kiln prep requires the shelves and furniture to be clean to ensure an even level floor and stack. We also check the interior of the kiln for any build up of salt or wadding material. The glaze station. All the work is glazed according to the chamber it is being fired in. Each chamber has a unique effect on the glazes and I can take advantage of that in the glazing phase of the process. The day of the loading. We pull all the pots out for each chamber and lay them out according to size or specific location in the kiln. All the work, and kiln shelves, need to be wadded (a mix of clay, sand and alumina hydrate). 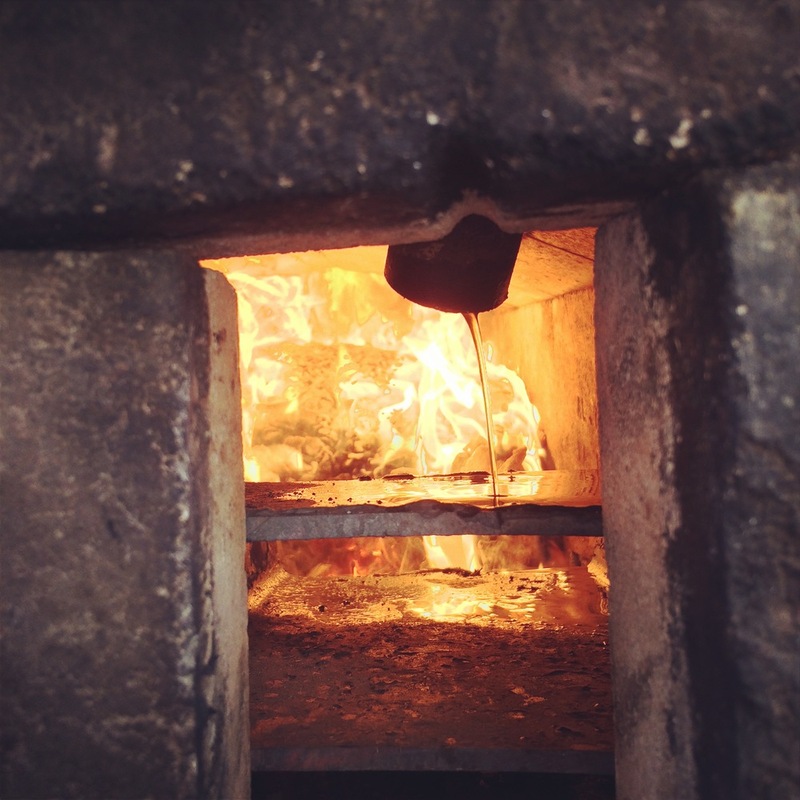 The wadding materials resists the ash, salt, and other fluxing agents moving throughout the kiln thus preventing the work and stack from fusing together. For this place setting, I used a shino glaze which contains soda ash. As the glaze dries, the soda effloresces to the surface creating a unique pattern and even more interesting glazed surface. I started the fire in the firebox at 5am on Saturday. As the firebox heats up, we're able to begin stoking in the preheat holes (the ones above the row on the ground). As that fire gets larger and the coal bed bigger, we begin firing from the stoke holes on the side of the firebox. From there, we're able to gain heat and it becomes a matter of time to acheive our ultimate temperature, 2400 degrees Farenheit. Reduction smoke coming from the chimney. It's important to have good body reduction and glaze reduction when firing. 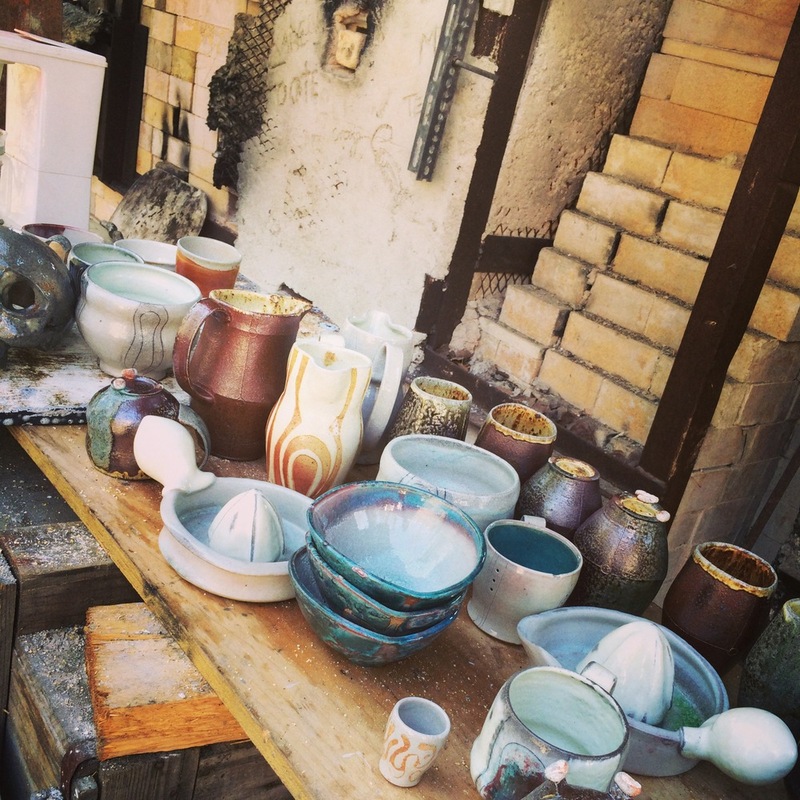 Some glazes require this kind of atmosphere in order for them to become the appropriate color-- for example, some red glazes may turn out green or blue if fired in an atmosphere that has been too oxidized. The second chamber of the kiln is salted. We introduced ten pounds of salt and held at top temperature for an hour. The kiln was shut down after 16 hours of firing.